Thank you for your interest and apologize that we cannot show all details. We would like to inform you that most of our brands are available at Rimping Super Store.Some brands are at Tops Super Market, and Seven Eleven branches in Chiangmai or some branches in Lumpoon. 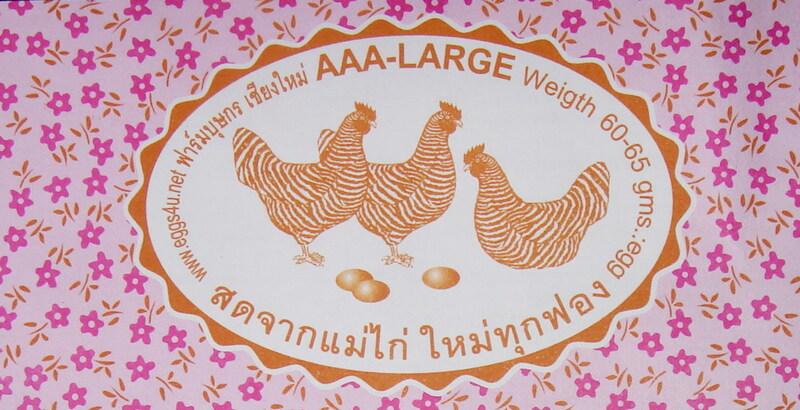 This brand is well- known for the huge size which weights more than 70 grams each. 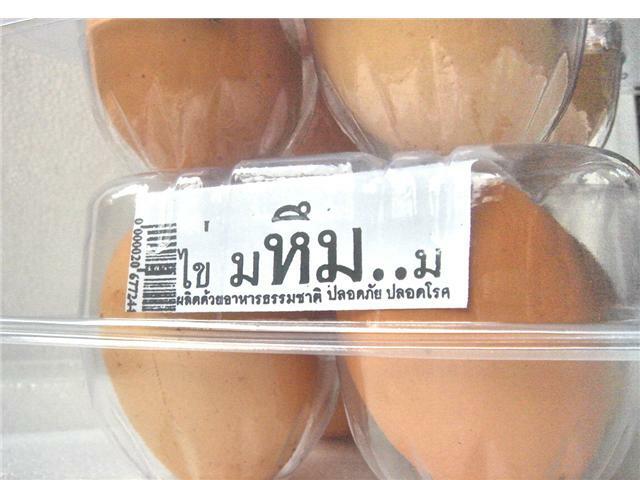 Thai name " MA....hmm...mmm "
18.00 baht: box of 4 eggs, weight more than 70 grams each. Occasionally with twin yolk- eggs from young hens. 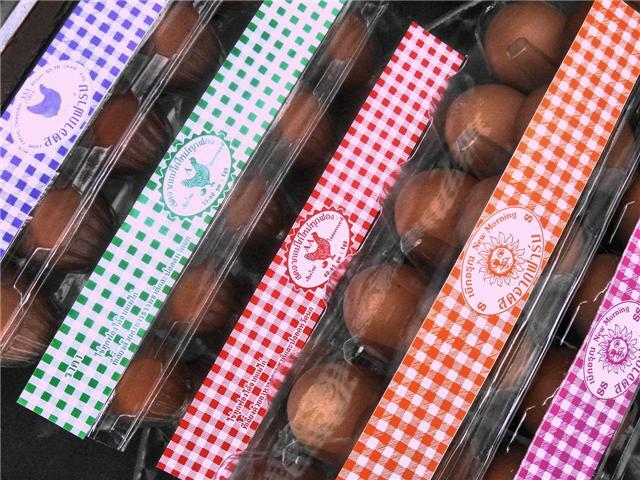 A dozen per packet , 3 sizes available from Extra Large, Large and Medium. each 46.80 baht, 45.60 baht, 44.40 baht respectively. 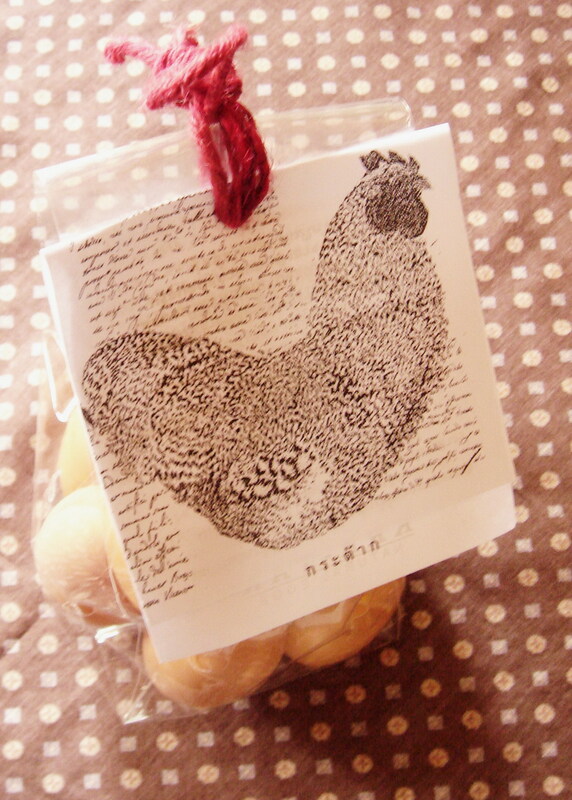 Named after the lively crow of Thai rooster. 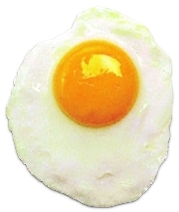 ...." egg eeee egg egg.......eeg e-e-e-e egg egg ". The first thing they do every new morning comes. 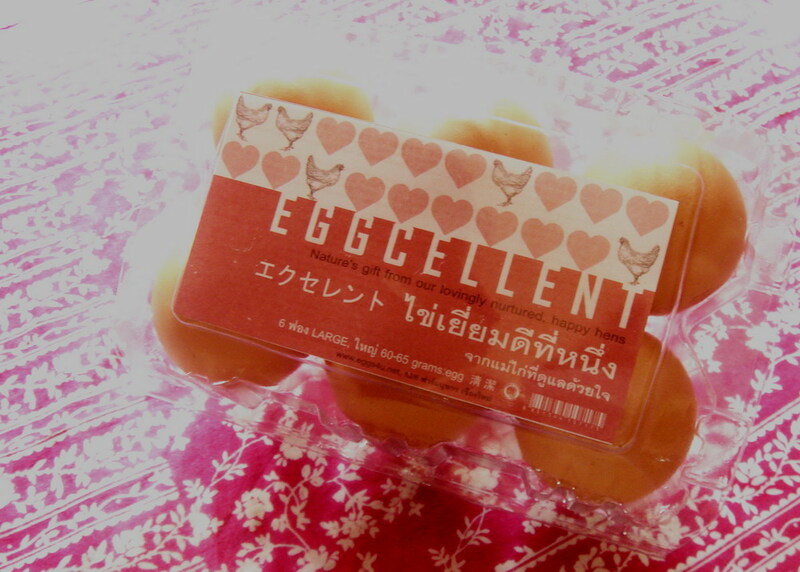 eggge---e--e-e--e-e-e-e-egg...egg...egg ee egg egg.........egg e--e---e--e--e- egg egg ! ! ! 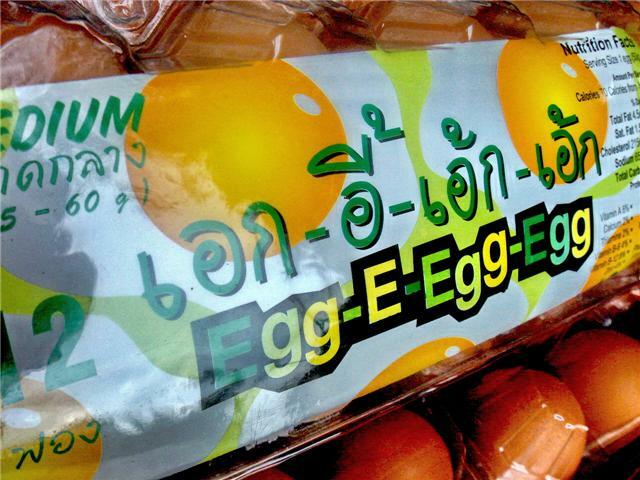 egg e egg egg ...egg e egg "
" egg''eg e egg egg ...egg e..e..e.e..egg e..e..e..e.egg egg...egg.e..egg egg...egg..e..e...e..e..egg egg....."
EXTRA LARGE for 6 eggs / packet : 25.40 baht, for 10 eggs/packet:39.00 baht, respectively. 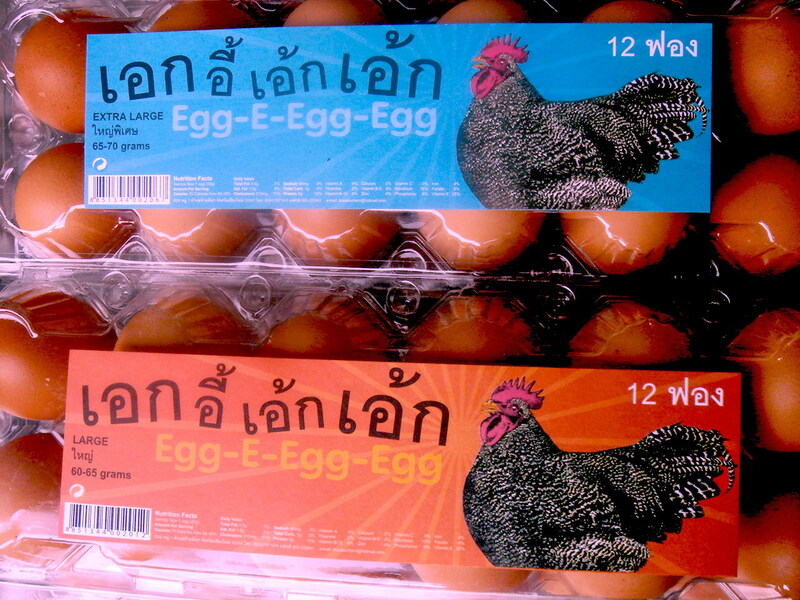 LARGE for 6 eggs/packet: 24.80 baht, for 10 eggs/packet:38.00 baht, respectively. 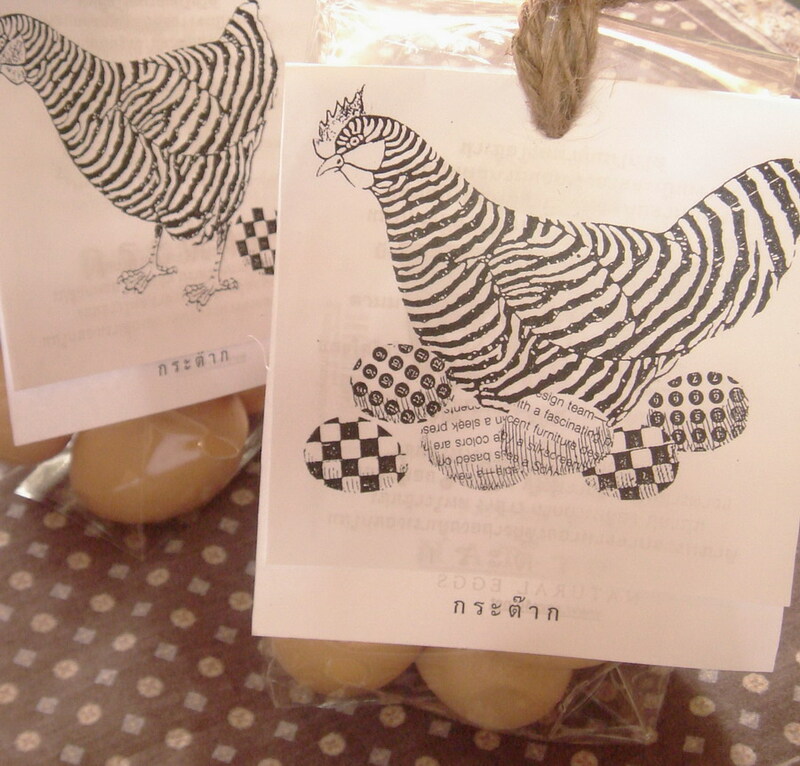 Named after a lovely voice of Thai hens while laying their eggs. 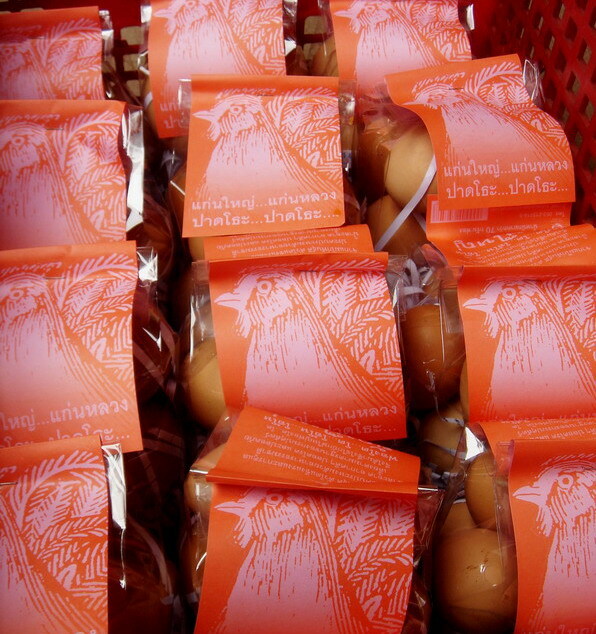 "cluck..cluck..cluck "
The more " kratak...kratak..kratak..", the more eggs from our happy hens for you. 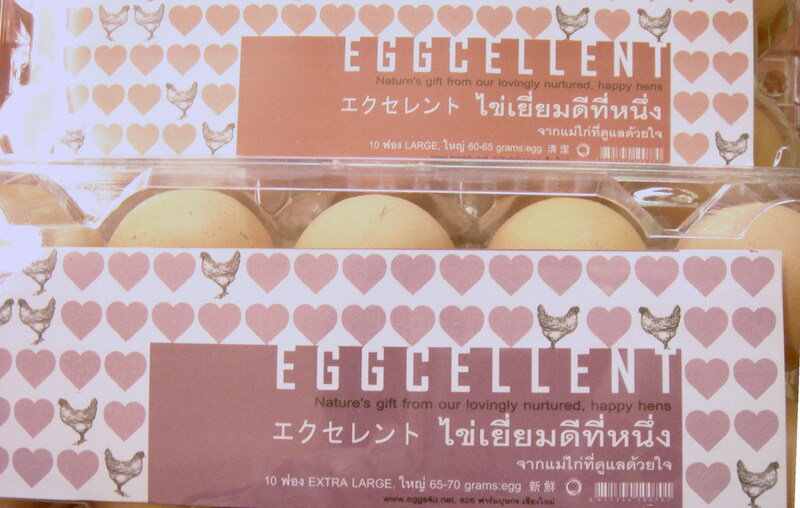 These happy hens live in very big henhouses where they can run freely. Help reducing the Global Warming problem by choosing the paper tray containers which made from farmed trees and can be bio-degradable. 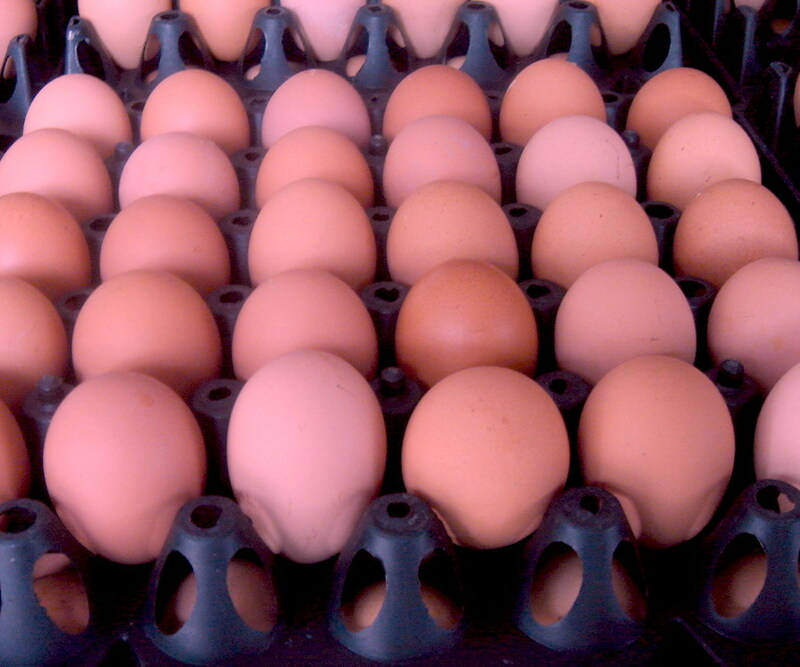 One tray contains 30 eggs. 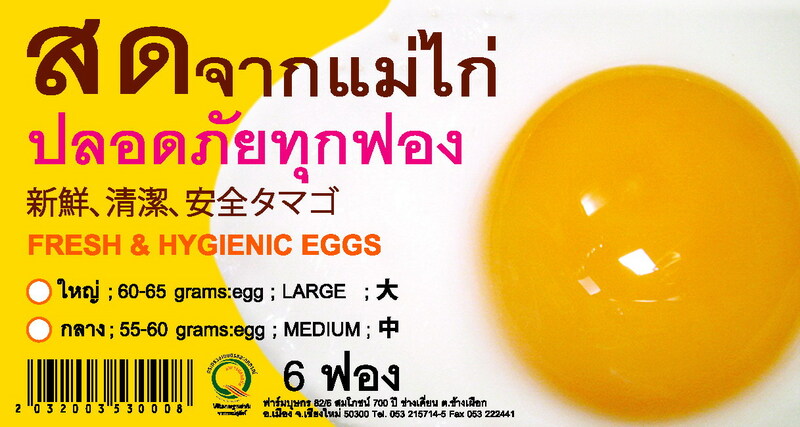 .....let''s go for some more variety with prices showed in Thai version . 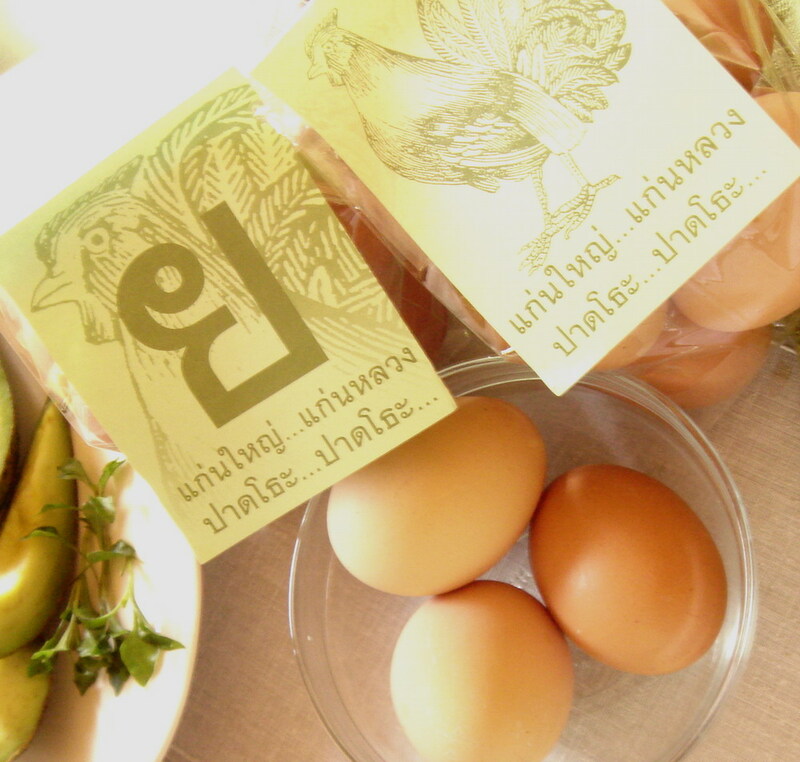 All brands of ours produced from our happy hens with Bio - Organic concept. 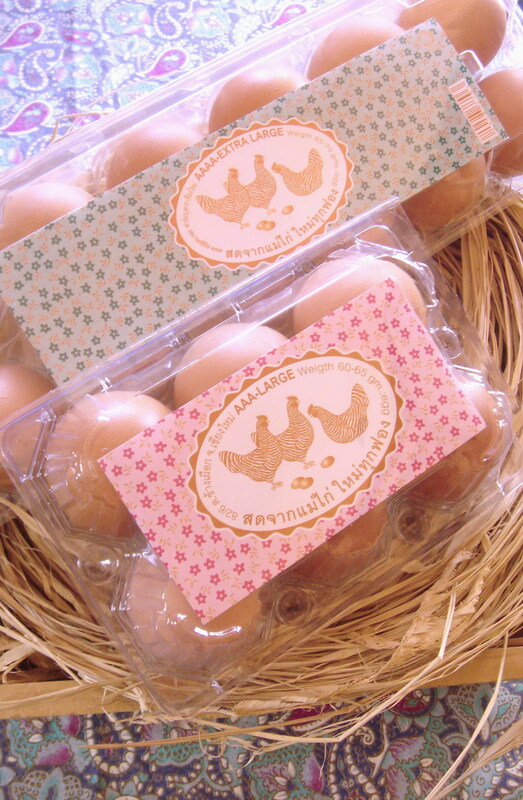 Every flock of hens is fed a natural feed we prepare ourselves, free of additives, preservative and fillers from a day-old age. Although some flocks are kept in cages. But their individual cages are sanitary, spacious and far different from crowded or packed high condo cages that other farmers normally use. 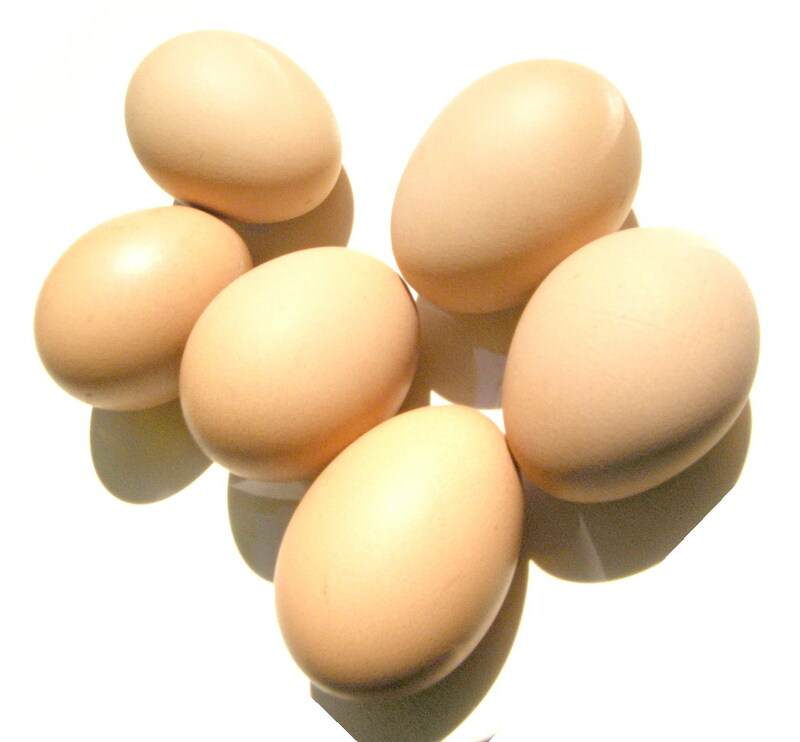 Each space for hen is double or triple size of requirement space per hen, where they live happily with their neighbours in good care of their loving and experienced caretakers. 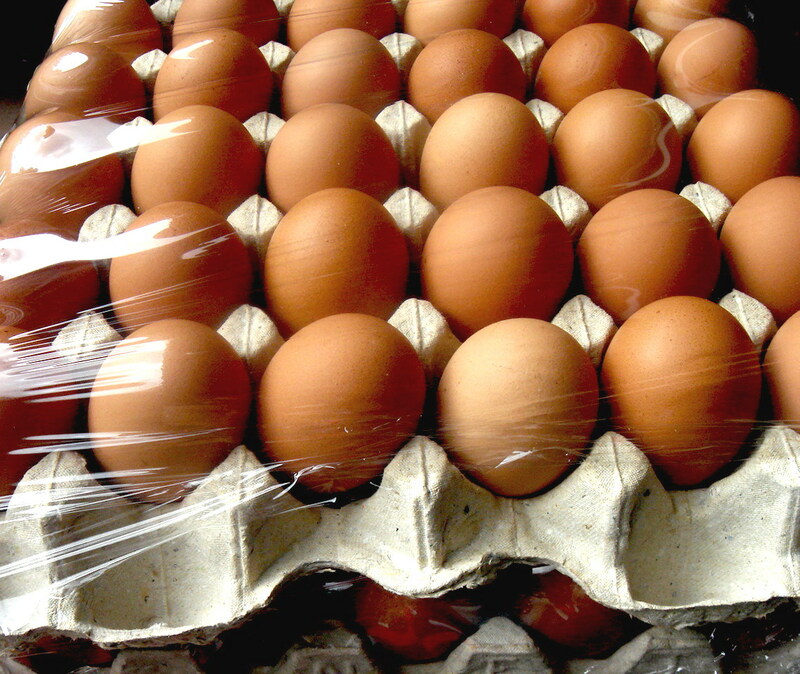 All processes involved in raising our hens and producing our eggs is controled by nutritionists and veterinarians, to ensure that every single egg meets the standard of good agriculture practices and is disease free. 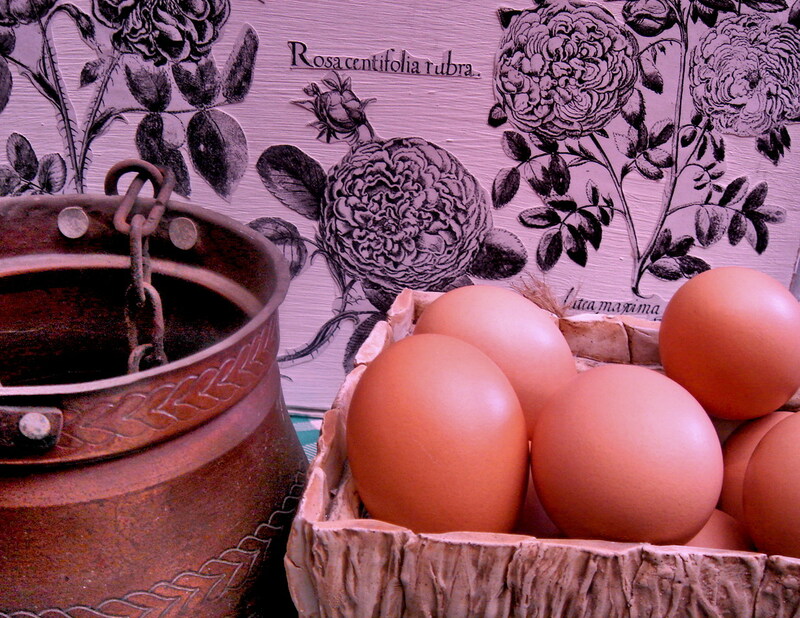 the nature''s gift from our lovingly nurtured, happy hens. Then you would know the difference.